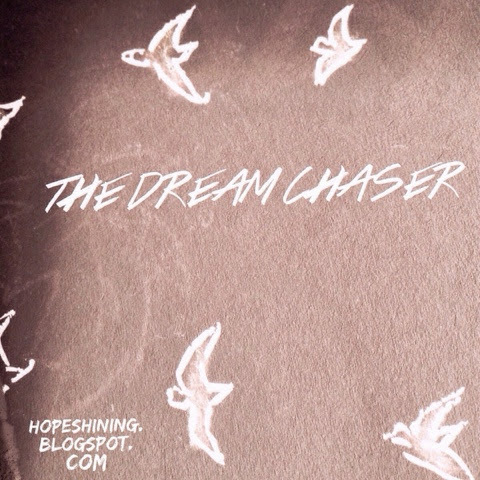 I once knew a dream chaser. There was no mountain that was too high to climb. There was no valley that didn't hold within it the spark of light. There was no storm that wouldn't let the rain touch her face and wash her soul. and there was not a space she went that did not see dreams become a little more of reality. But dreams get buried, sometimes. Dreams get loaded down with fear that suffocates the life from us. Dreams drown in doubt that takes the ignitable spark straight out of our eyes. Reality is hostile to our dreams. Maybe that's because our dreams are hostile to reality. Dreams won't let the past not give fuel for the future. Dreams won't let the present not be the stage for change. Dreams won't let the current reality remain for the future, even when reality wished we only dreamed in our sleep. Life to those you touch. The determination like fire in your soul. Dreaming is not just meant for sleeping. Dreaming is meant for giving you wings and setting you leaping. The dreams are waiting to be chased while urging you to not let go of the beauty in each moment. Dream-filled thoughts are waiting to be discovered while warning you to not get lost in your thoughts. Dreams let you aim at greatness for this world while urging you to not miss the greatness of everyday moments of love, laughter, and sharing life with others. and delight in God in the here. in the now. Dreams need your biggest dream to be living out His dreams. Here's to dreaming while we're awake. Well very Articulate! Keep writing! Finally you nailed it! Our dreams must be HIS!